Yesterday I headed up to Seattle for Coffee Fest 2010. It was my first year attending and the experience didn’t disappoint. 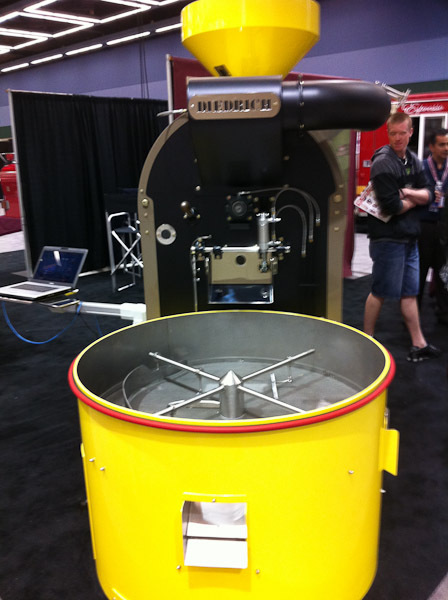 The show floor was filled with coffee and espresso related products. There were tons of pour over samples to taste, blended drinks, and coffee shop related products to check out. One trend I noticed was the abundance of eco friendly products being promoted. Eco Products attended, along with a whole bunch of similar companies making similar products. Some of the cups were a bit misleading in that they used less material (by having a built in sleeve), but they still weren’t compostable or made of recycled material. Another company was selling compostable wooden cutlery, though it was made in China which brings with it a separate set of problems. The espresso related stuff was of course my main interest. I was disappointed that some of the local roasters like Zoka Coffee, Caffe Ladro, Tony’s Coffee, and Stumptown didn’t attend. Most of the roasters were big corporate companies which I don’t see myself buying coffee from, although ironically, Starbucks was nowhere to be seen. The one local shop that really impressed me is Caffe Vita. They had a great booth, and made me a perfect short latte complete with a rosetta on top. In the espresso machine department the Faema booth had an E-61 legend, which is the original machine that had an E-61 group. Even my machine made some 30 years later still uses this group design. The La Marzocco gear was impressive as usual. I’d love to own a GS3 one day. 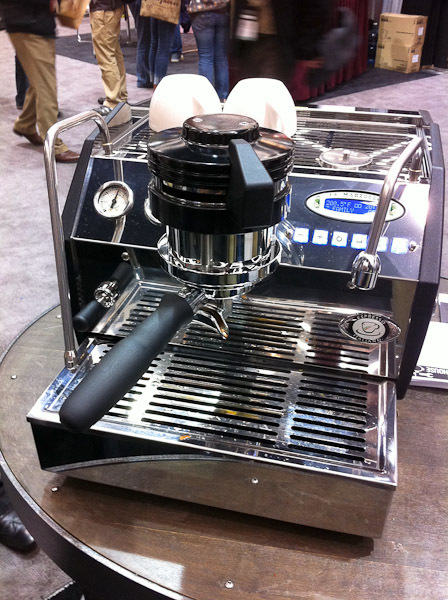 The most high end machines I saw were by Synesso. Their booth was crowded full of people swooning over their latest creation. This entry was posted in Random and tagged Coffee, espresso, seattle. Bookmark the permalink.